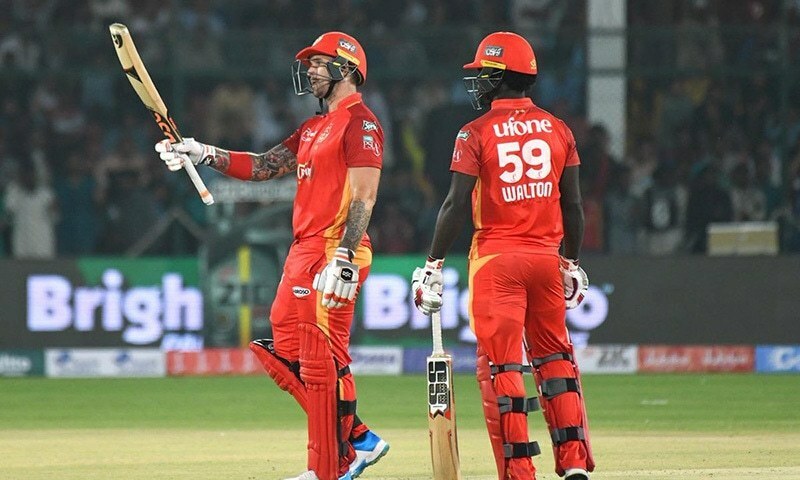 Islamabad United qualified for the play-off stage of the Pakistan Super League 2019 with a dominant 49-run victory over Lahore Qalandars on Saturday at the National Stadium in Karachi. 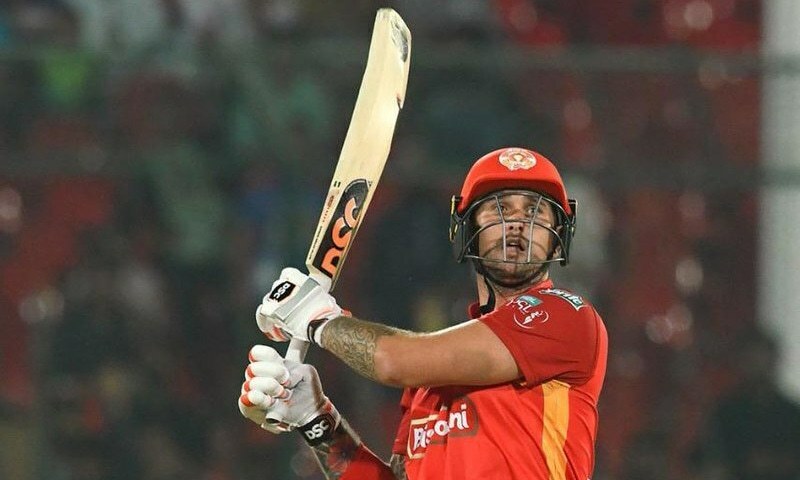 The defending champions rode an unbeaten century from Cameron Delport and a six-for by Faheem Ashraf to outclass the Qalandars, whose own play-off hopes now rest on how Karachi fares in their remaining two fixtures. 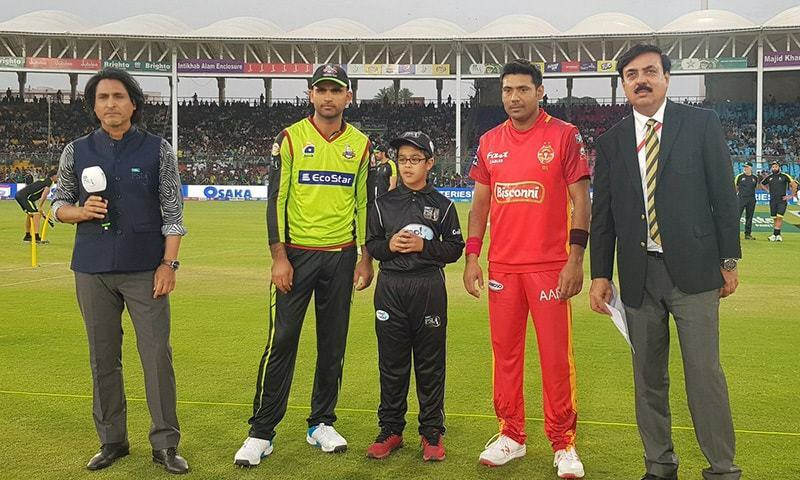 Lahore Qalandars captain Fakhar Zaman won the toss and opted to field first, likely having in mind the vast majority of times teams batting second have emerged victorious in PSL 2019. 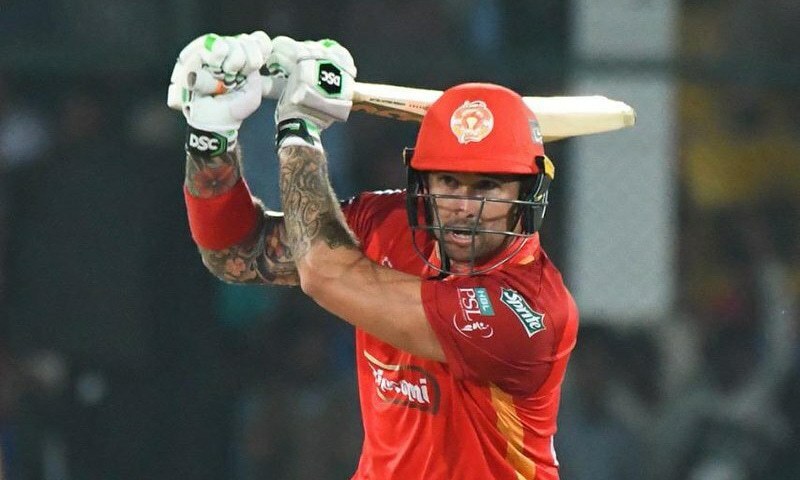 Luke Ronchi and Cameron Delport opened the innings for United, but their partnership lasted the shortest possible time as the precocious Shaheen Shah Afridi struck on the very first ball of the match. He had Ronchi caught in the slips. Ronchi's early departure was quite shocking as the pitch was super flat, signified by the trio of boundaries hit in the same over. Delport was committed to taking full advantage of the track's offering as he smacked four boundaries in the second over bowled by Rahat Ali. With pacers going for runs, Fakhar Zaman introduced Sandeep Lamichhane into the attack, and the move paid instant dividends. Philip Salt got greedy, took a needless chance and ended up planting a catch at mid-on. Chawick Walton walked in to join Delport at the crease. Full aware of the short boundaries, Delport was literally throwing his bat at everything and was getting rewarded too promptly. After 5 overs, United had amassed a massive 63 runs for the loss of two wickets. Delport, who was dropped by Sohail Akhtar at the score of 26, completed his 50 in the 7th over off just 23 balls, flicking one past the short fine leg for four. The introduction of Agha Salman and David Wiese curtailed the flow of runs somewhat but United still brought up their 100 in the 10th over, at the end of which they were 103-2 and cruising. Walton had played under Delport's shadow for much of their partnership but the Windies batsman took centrestage in the 14th over, smacking back-to-back sixes off of Wiese's deliveries. Wiese had the last laugh, however, as he cleaned up Walton in the same over, which ended the 118-run third-wicket partnership. With five overs left, United were 158-3, with Delport on 91 and closing in on his century. The African completed his maiden and PSL's fastest-ever ton in the 16th over as runs started to flow at the same feverish rate as they did in the first five overs. In the last five overs, Asif Ali (55 off 21) became the tormentor-in-chief, hitting PSL's joint-fastest half century laced with 6 sixes and 3 fours. In the end, United finished with the score of 238-3. Delport finished with an unbeaten 117 off 60 deliveries. 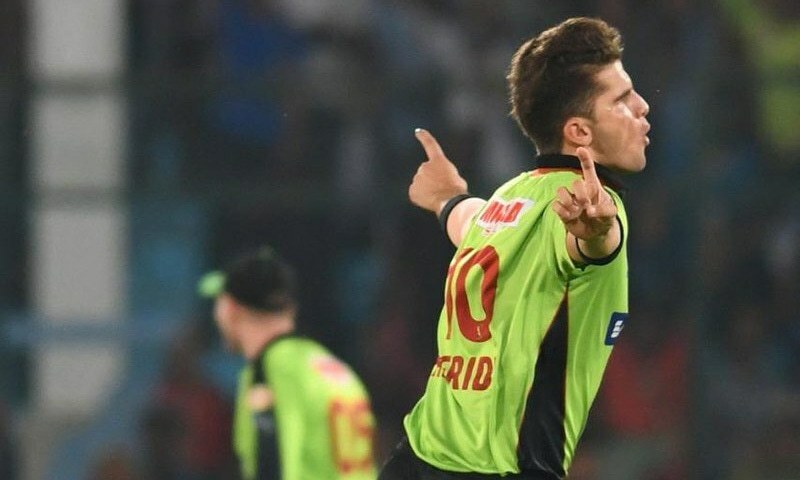 Lahore openers Fakhar Zaman and Anton Devcich continued where United had left off, throwing their bat at almost everything and also connecting almost every single time. Zaman was the more ruthless of the two as he plundered the young Muhammad Musa's first over for 26 runs. With conditions extremely conducive for batsmen, Devcich must be kicking himself when he mistimed a shot in the 5th over and ended up losing his wicket to Faheem Ashraf. After 5 overs, the Qalandars were 56-1 and the game seemed far from over. 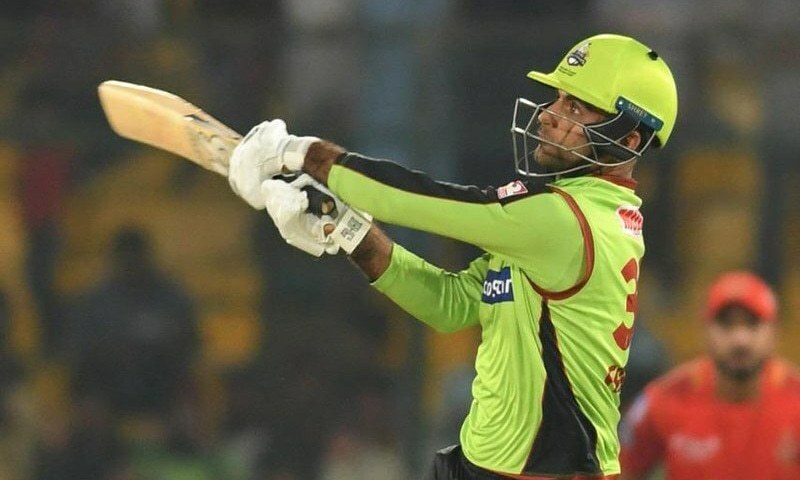 However, the excellent Ashraf struck twice more in the 7th over, removing both Zaman (38 off 20) and Haris Sohail (naught) to put his team back in the driving seat. 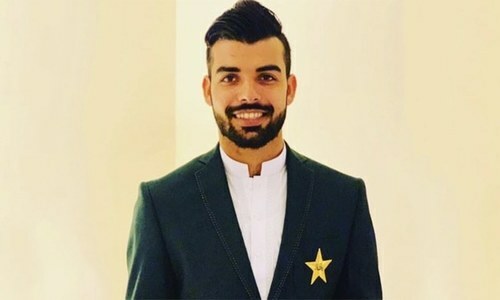 Shadab Khan's bamboozling of Riki Wessels could have put the game to bed but such were the conditions that it didn't. Newcomer David Wiese and Akhtar, who was the culpable party for dropping Delport in the first innings, carried Lahore's hopes. But Wiese departed in the 13th over as Qalandars' hopes flailed. Akhtar kept on scoring from one end but did not find support from the other. Ashraf, in his second spell, swiftly picked up two more wickets, including the prized one of Akhtar (75 off 34) to complete his set of half-a-dozen for the match. Off the final two overs, the Qalandars needed 63 runs and the match as a contest had clearly been over. In the end, they fell 49 runs short. Fakhar: "It's the first game, so we want to bowl first here. We've planned for Ronchi's batting." Sami: "Very happy that cricket has come back to Pakistan." 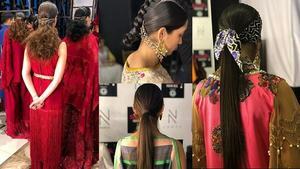 Lahore should have won this match. Fakhar Zaman you cannot hit every ball for a six, you were doing so well in the first 4 overs and then you did what you have always done use force instead of sense. Please take a break and think about what an opening batsman needs to do. Great bowling Faheem!! !